Paris Saint-Germain have condemned Patrice Evra's "deeply shocking" comments after his former club Manchester United's Champions League victory over the Ligue 1 side. Evra was in the stands in the French capital alongside current United midfielder Paul Pogba when the Premier League team overturned a two-goal first-leg deficit to advance to the Champions League's quarter-finals on away goals. Footage posted on social media showed Evra wildly celebrating Marcus Rashford's late penalty and he followed that up with an expletive-laden rant that contained homophobic slurs, which emerged online after ex-Monaco team-mate Jerome Rothen had criticised the former French international's antics in the stands. 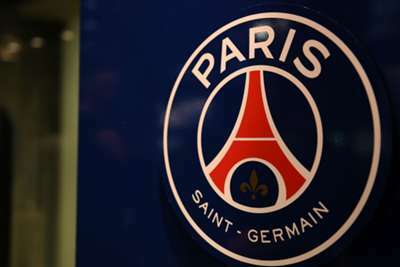 In a statement issued on Le Parisien's website, PSG said: "Paris Saint-Germain strongly condemns the homophobic insults proffered by Patrice Evra against the club, its representatives and former player. "The fight against homophobia is at the heart of PSG's action. The fight against homophobia and all discrimination is at the heart of the action and the values of Paris Saint-Germain, which has been engaged for many years alongside Rouge Direct to combat homophobia and against all forms of racism. "The club wanted to inform Manchester United about their former player. "PSG will support any initiative initiated by its associative partners, Rouge Direct, Sportitude-France, SOS Racisme." Evra later posted a video on Twitter in order to "clarify a massive, massive misunderstanding" in which he claimed his words were misconstrued. "I'm not homophobic, you know who I am [...] I love everyone," he said. "If I offend someone or I hurt someone, I really apologise.